Want to learn healthy cooking in the new year? 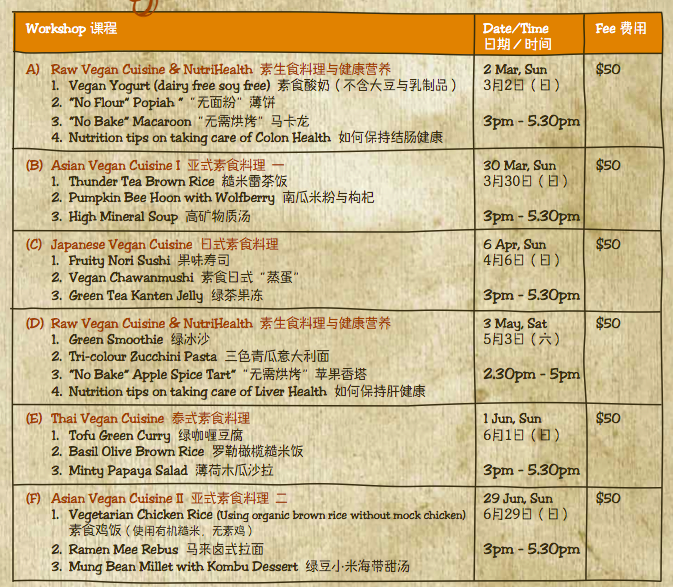 Check out Ms. Vinitha Ang’s raw and vegan cooking class schedule at Kong Meng San Phor Kark See Monastery. See also Vinitha’s other culinary art classes at www.nutrihub.blogspot.com!